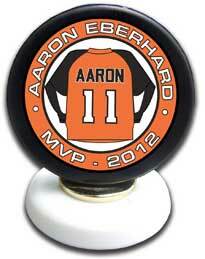 A personalized puck mounted on a base makes a very special team gift. Add your logo, add team names and numbers. Create a truly unique gift for youth hockey players.